This is my first time making spaghetti squash and I must say I am now in love! 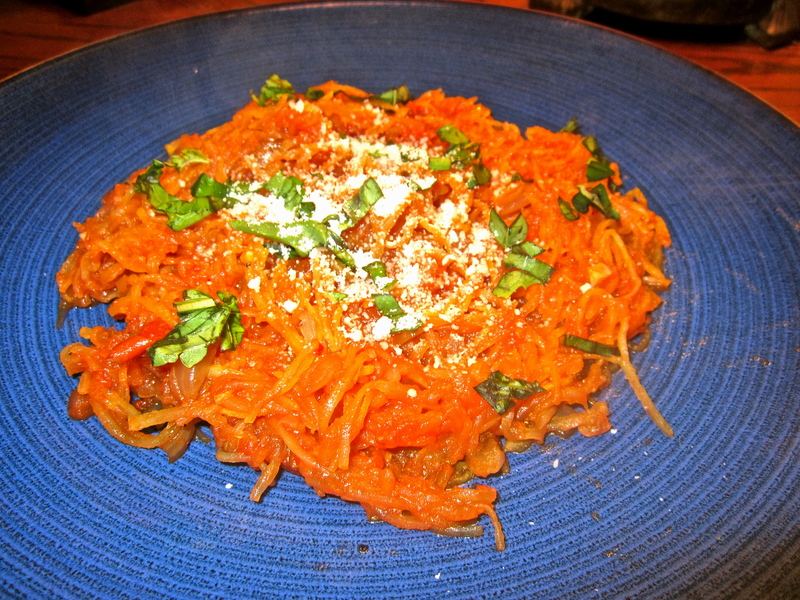 It is sooo much healthier for you and it has way more flavor than regular pasta ever could. Give this recipe a try I know you won’t be disappointed! 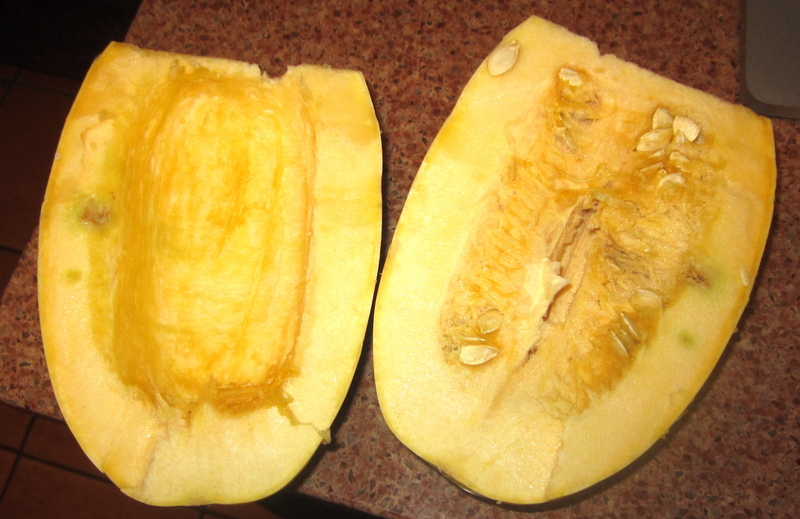 Cut the squash in half and take seeds out. Put the squash into preheated 425 degrees oven and cook for 35 minutes or until squash is tender enough for a fork to slide in with ease. Heat oil in skillet on MEDIUM-LOW; add onion and pepper flakes; cook 5 min, or until onion is translucent but not browned. Add garlic; continue to cook another 2 min. Add rosemary and tomatoes; season with salt and pepper. Simmer on LOW 10 min. Remove and discard rosemary. 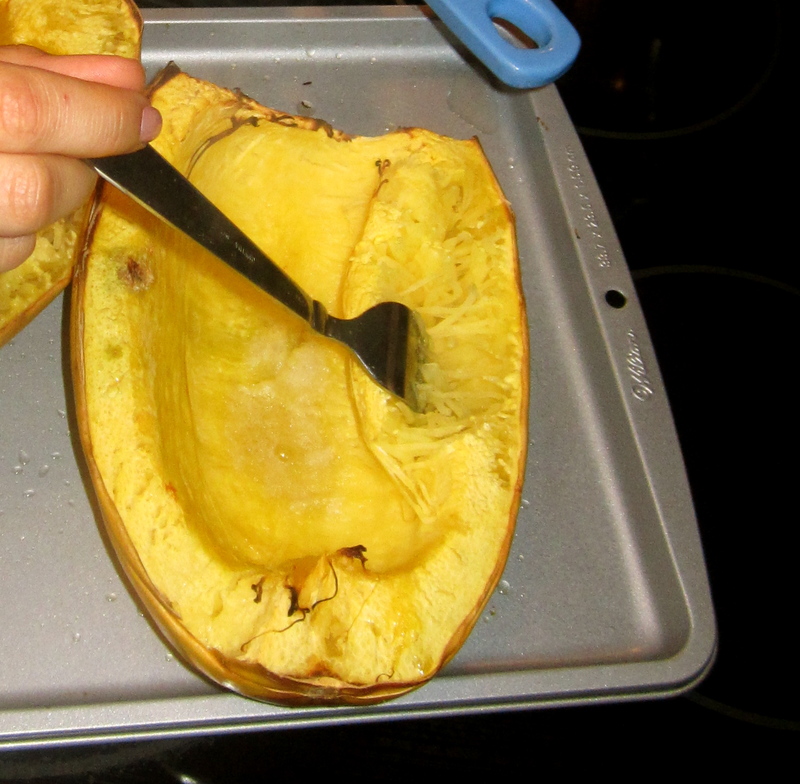 Take the squash out of the oven when it’s ready and take a fork and pierce the outer edge of the squash for it to loosen see the picture below. 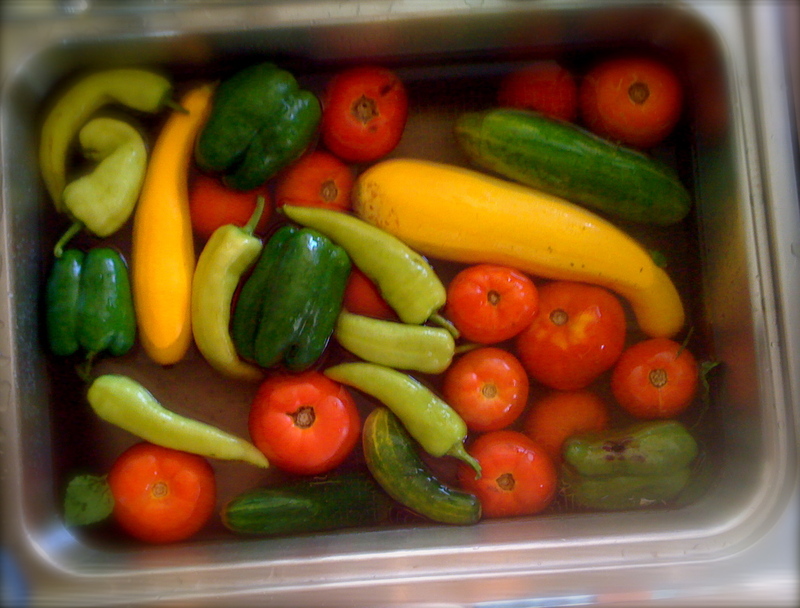 Continue to run the fork along the squash. If any pieces of the squash have hardened discard. 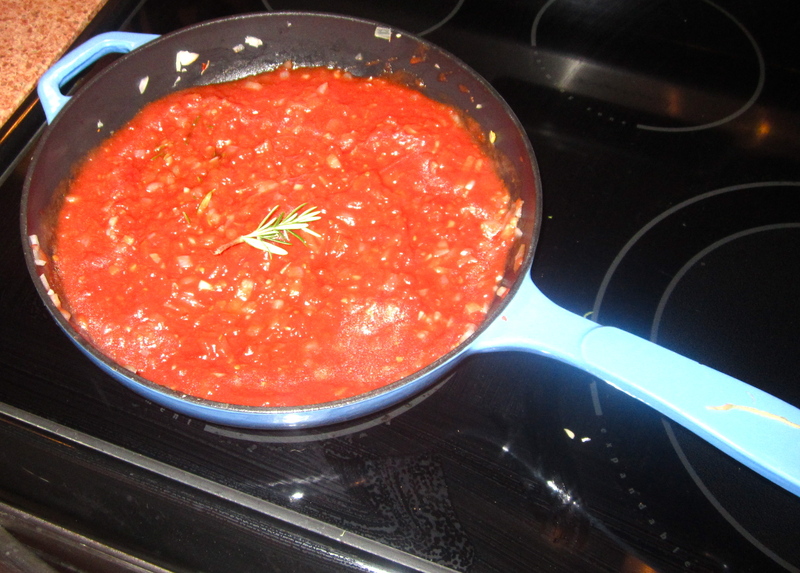 Add spaghetti squash to sauce; toss quickly and gently to heat through. Top each serving with 1/2 tsp cheese and garnish with basil. I have been eating this super simple salad my whole life. 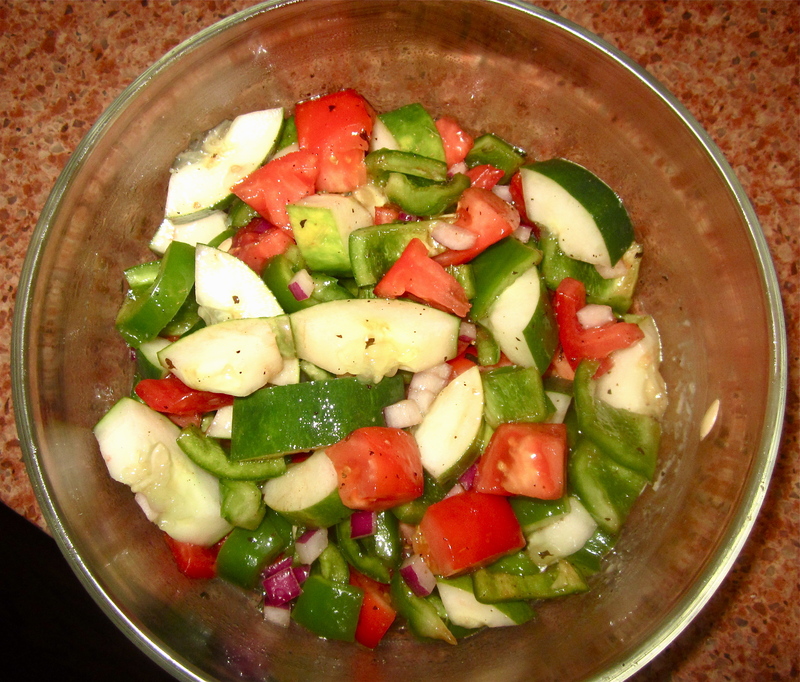 My father has a wonderful garden and he makes this salad a staple in his fridge during the summer months. It takes less than 5 minutes to prepare and it is oh so delicious! The recipe I have below serves about 1-2 people but you can always increase the ingredients when serving a group.